تطبيق عين للواقع المعزز هو تطبيق للأجهزة الذكية يعمل علىمحاكاةالتجارب العلمية والممارسات المختبرية بتقنية الواقع المعزز ،متماشيامع المنهج الرسمي في وزارة التعليم بالمملكة العربية السعودية.سيجدالطالب المتعة والمعرفة في آن واحد بالتفاعل مع تقنية الواقعالمعززعبر تطبيق عين وذلك بواسطة توجيه عدسة الهاتف المحمول تجاهالرسوماتالمطبوعة في الكتب الدراسية. Apply an eye to enhancedreality Is an application for smart devices that simulatesscientificexperiments and laboratory practices with enhancedrealitytechnology, in line with the official curriculum of theMinistry ofEducation in Saudi Arabia. 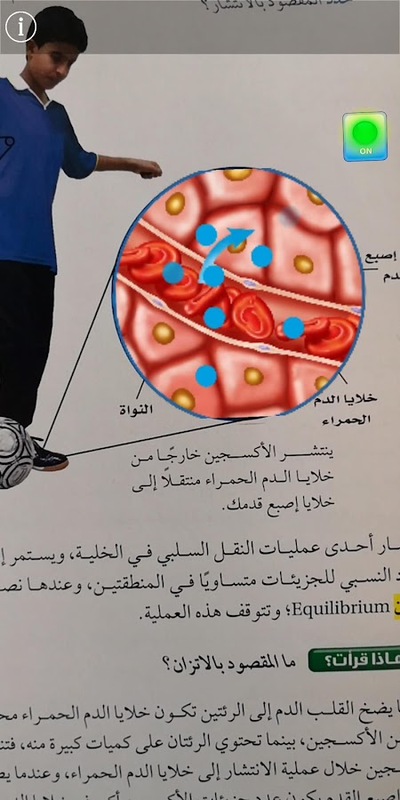 The student will find boththe pleasureand the knowledge of interacting with the enhancedrealitytechnology through the application of the eye by directingthemobile phone lens towards the printed graphics in the textbooks. تطبيق حقيبة (عين) -للمعلم: تطبيق الكترونيللأجهزة اللوحية يحتوي على أدلة المعلم للمقررات الدراسية في المملكةالعربية السعودية، وحقائب المعلم للأنشطة الصفية وأدلة التقويم، لجميعالمراحل الدراسية.مزايا التطبيق:إمكانية تحميل كتب المقررات الدراسية وتصفحها الكترونياً من خلالالتطبيق.إمكانية تحميل أدلة وحقائب المعلمين وتصفحها إلكترونياً من خلالالتطبيق.حفظ خيارات المعلم في مكتبة مستقلة؛ لتيسير الوصول السريع للكتب التيتم تحميلها.إمكانية إضافة علامات القراءة وتحديد النص.iEN Application for teacher: is an electronic application fortablets. It includes all Saudi textbooks & teacher (guidebooks& activities resources & assessment). For all levels.Application features:The possibility to download and review student textbooks.The possibility to download and review teacher (guidebooks &activities resources & assessment).Saving educational user information, by being able to review histext books and previous downloads.The possibility to add bookmarks and highlight texts.Application bag (eye)-lmwalim: an electronic application for PCs contain evidence ofteacher curricula in Saudi Arabia, and bags teacher for classroomactivities and evidence Calendar, of all academic levels.Advantages of the application:Possibility to download books courses and browse electronicallythrough the application.Possibility to download and evidence bags teachers and browseelectronically through the application.Remember the teacher in an independent library options; tofacilitate quick access to books that have been downloaded.The ability to add tags and reading the text.iEN Application for teacher: is an electronic application fortablets. It includes all Saudi textbooks & teacher (guidebooks& activities resources & assessment). For all levels. Application features:The possibility to download and review student textbooks.The possibility to download and review teacher (guidebooks &activities resources & assessment).Saving educational user information, by being able to review histext books and previous downloads.The possibility to add bookmarks and highlight texts. 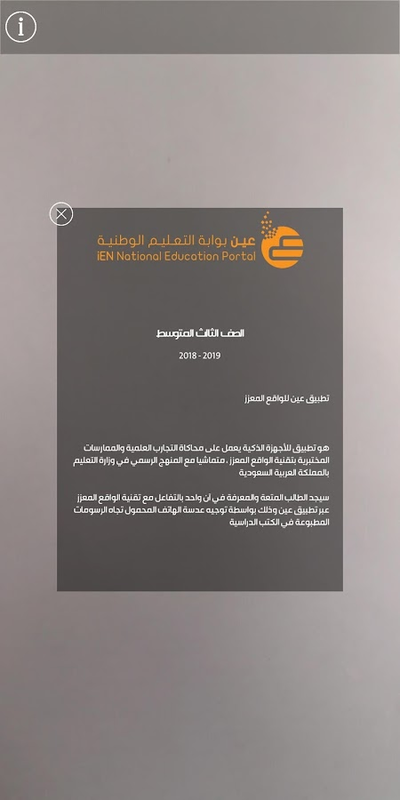 "iEN Toolkit": is an application for smart devices that containsall Saudi k12 textbooks in a digital forms supported bysupplementary and supportive educational materials. ThisApplication includes the following features: · Download and browsall k12 textbooks and teachers’ guides. · Content tailored to thestudent interest and his educational level. · Attractive design forstudents · Browsing all related educational digital content tosupport the learning progress and interactivity. · Self-assessmenttools by using Questions-Pool from iEN platform. · Provision ofinstant and prompt educational support for students by qualifiedteachers. 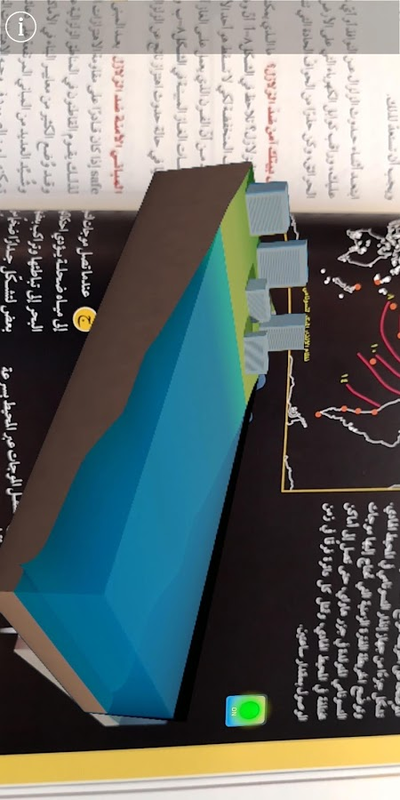 · Interaction features with the digital text-books. تسعى وزارة التعليم من خلال تطبيق مبادرة “تعزيز مشاركة المدرسة معالأسرة والمجتمع في العملية التربوية والتعليمية ودورها في تعزيزالقيم والهوية الوطنية” (ارتقاء) إلى تمكين المدرسة من بناء شراكةفاعلة مع الأسر، وبالمقابل تمكين الأسر من المشاركة في الأنشطةالمدرسية أثناء وقت الدوام وخارجه، إضافة إلى تمكين الأسرة من تعزيزالقيم الإسلامية وتنمية الهوية الوطنية لأبنائها، وتمكين المجتمع مندعم الشراكة للوصول لمجتمع المعرفة.وعليه تم إطلاق بوابة ارتقاء كأحدالحلول الإلكترونية لتيسير إدارة عمليات الشراكة بين كلا الجهاتالمعنية بالمبادرة وتوفير كافة الإمكانات والأدوات التي تسهم في تعظيمالاستفادة والتفعيل الأمثل.The Ministry of Education is seekingthrough the implementation of the initiative "to strengthen theschool's participation with the family and the community in theeducational process and its role in promoting the values ​​andnational identity" (upgrade) to enable the school to build aneffective partnership with families and, by contrast enablefamilies to participate in school activities during working hoursand outside , as well as to enable the family to promote Islamicvalues ​​and the development of the national identity of theirchildren, and enable the community to support the partnership togain access to the knowledge society.And it was launched as agateway upgrade of electronic solutions to facilitate themanagement of partnerships between both stakeholders and theinitiative to provide all the capabilities and tools thatcontribute to the optimization and activation optimization. أسلوب جديد لإدارة التعلم إلكترونياً من خلال بيئة تعليمية تفاعليةمكملة للحصص الدراسية داخل المدرسة وخارجها. يستهدف كافة منسوبيالعملية التعليمية (قائد المدرسة، المعلم، الطالب، ولي الأمر، المشرفالتربوي) ويتضمن التطبيق العديد من الأنشطة التعليمة المؤتمتة علىسبيل المثال لا الحصر: · المقررات الدراسية (النسخة الالكترونية). ·الواجبات والاختبارات الالكترونية. · حضور فصول الدعم والتقويةالافتراضية. · مسارات تعليمية متنوعة تلبي الفروق الفردية للطلابوتدعم تعلمهم، مدعومة بأداة تأليف الكترونية. · بنك أسئلة يتضمن أكثرمن 120 ألف سؤال الكتروني محكّم لكافة المقررات الدراسية. · أكثر من35 ألف محتوى رقمي تعليمي متنوع (مرئي، كرتوني، العاب، تفاعلي). ·أكثر من 130 ألف خطة درس إلكتروني بمشاركة المعلمين. 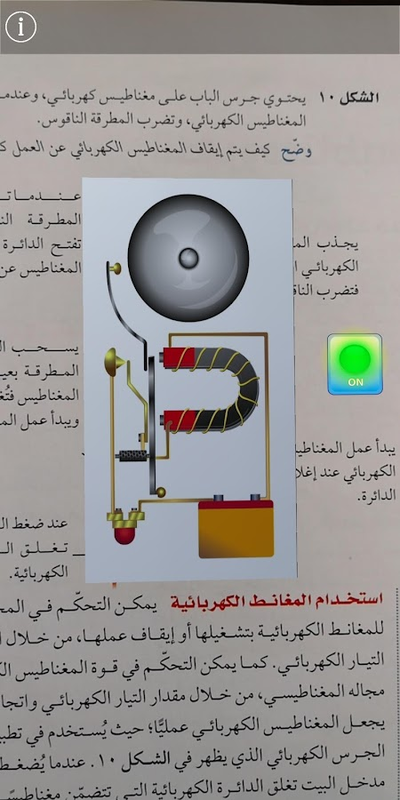 · محتوى معززللتعلم (اسهامات المسلمين، القيم التربوية، نادي القراءة، المعاجماللغوية المصورة). · قنوات تطوير ذاتي ومجتمع مدرسي تفاعلي. ·المشاركة التفاعلية بين منسوبي المدرسة والمنزل عبر مجتمعات تعلمتفاعلية. · تقارير واحصائيات التقدم في الإنجاز. · تحفيز المعلمينالحر لطلابهم / شارات الطلاب ومكافآتهم. سارع بتحميله واكتشف العديدمن الخدمات الأخرى التي تميز التطبيق. A new approach to learningmanagement electronically through an interactive learningenvironment complementary to the quotas within the school andoutside the school. Targets all employees of the educationalprocess (school leader, teacher, student, parent, educationalsupervisor) application and includes many instruction activitiesautomated, for example, are not limited to: · Courses (electronicversion). · Duties and electronic tests. · Attend classes supportVirtual Relay. · A variety of educational paths that meet theindividual differences of students and support their learning,supported by an electronic tool authoring. · Bank questions includemore than 120 thousand questions an electronic arbitrator for allcourses. · More than 35 thousand digital content varied educational(visual, cartoon, games, interactive). · More than 130 thousandelectronic lesson plan with the participation of teachers. ·Enhanced content learning (contribution of Muslims, educationalvalues, Reading Club, language dictionaries, catalogs). · Channelsof self-development and community interactive teachers. ·Interactive participation between the employees of the school andhome communities through interactive learning. · Progress reportsand statistics in the achievement. · Motivate teachers to freestudents / students and their rewards badges. Quick downloadand discovered many other services that distinguish theapplication. تطبيق يستعرض أبرز فعاليات المعرض والمنتدى الدولي للتعليم ( تعليم 6)من محاضرات وجلسات علمية وورش عمل وخارطة تفصيلية بأماكن العارضينويمكن من خلاله تسجيل الحضور والمشاركة في الفعاليات والدوراتالتدريبية المتخصصة.Application reviews the highlights of theexhibition and the World Education Forum (Education 6) of lecturesand scientific sessions, workshops, and a detailed map of places ofexhibitors can be through attendance and participation in eventsand specialized training courses. تطبيق التدريب الصيفي هو تطبيق إلكتروني يتيح إمكانية التسجيل فيالدورات التدريبية التي سوف تعقد خلال شهر ذي القعدة لعام 1439 هـ تحتإشراف وزارة التعليم ممثلة بالمركز الوطني للتطوير المهنيالتعليمي.The summer training application is an electronicapplication that allows the possibility of registration in thetraining courses will be held during the month of November with theyear 1439 AH under the supervision of the Ministry of Educationrepresented by the National Center for Vocational EducationalDevelopment. عين للوثائق هو نظام إلكتروني يعنى بالمحافظة على وثائق ومحفوظاتالوزارة وإدارات التعليم في المناطق والمحافظات، وفهرستها وتصنيفهابما يكفل سرعة الاهتداء إلى ما تدعو الحاجة إلى الاطلاع عليه وتداولهوإفشاؤه وما لا يمكن الاطلاع عليه لخصوصيته. ويمكن البحث في وثائقالوزارة من خلال:- أسم أو رقم الوثيقة .- موضوع الوثيقة.- الجهةالمصدرة للوثيقة.- الكلمات الرئيسية. - نوع الوثيقة .Eye of thedocuments is an electronic system meant to preserve the documentsand archives of the Ministry and departments of education in theregions and provinces, indexed and categorized as to ensure thespeed of conversion to what needed to be accessed and traded andspilling and can not see it for privacy. And it can besearched in the documents of the ministry through:- Document nameor number.- The subject of the document.- The issuer of thedocument.- the main words.- Document Type . من يريد تعلم اللغة الانجليزية فسيواجه مشاكل عدة في الانجليزية ،لذلكمن خلال هذا التطبيق ستتمكن من تعلم الانجليزية من الصفر حتىالاحترافوبدون نت و مجانا ، تطبيق تعلم اللغة الانجليزية بالصوت هوتطبيق شامليحتوي على مجموعة من المحادثات الشاملة لتعلم انجليزيللكبار وللمبتدئين . برنامج تعليم اللغة الانجليزية متاح مجانا ومعمجموعة منالمحادثات من جميع الفئات كعند الطبيب او حول التعارف وماالى ذلك ،كما انه يمكن استخراج قواعد اللغة الانجليزية من هذهالمحادثات بطريقةالتركيز في المحادثة و معرفة قواعد هذه اللغة ومايتمحور فيها كل جملةاو محادثة ب الانجليزية وترجمتها للغة العربية وبالصوت ، لذلك فيالمرحلة الاولى لا تشغل بالك بكل القواعد والافعالبل بالمحادثاتوالمفردات في برنامج الانجليزية هذا مع طريقة نطقالمحادثة ومعرفةسياقها و المعنى المقصود . Those who want to learnEnglish will faceseveral problems in English, so through thisapplication you will beable to learn English from scratch toprofessionalism without Netand for free, The application oflearning English by voice is acomprehensive application thatcontains a set of comprehensiveconversations to learn English foradults and beginners. The Englishlanguage learning program isavailable free of charge and with aseries of conversations fromall categories such as a doctor oracquaintance, etc. It is alsopossible to extract the Englishgrammar from these conversations ina way that focuses on theconversation and learn the rules of thislanguage and what iscentered around it Each sentence orconversation in English andtranslated into Arabic and in Arabic,So in the first stage do nottake into account all the rules andactions, but conversations andvocabulary in this English programwith the pronunciation of theconversation and know the context andmeaning intended.